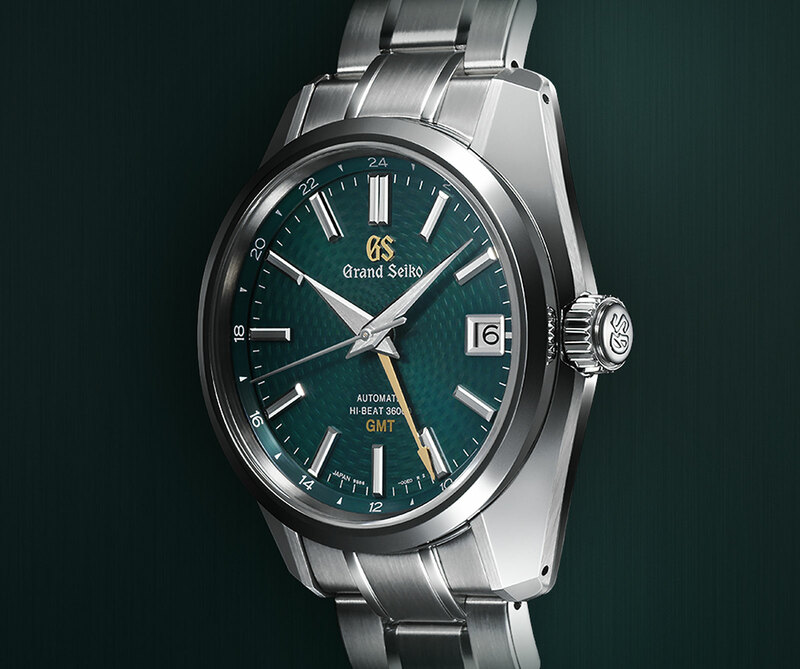 The top of the line pure mechanical Grand Seiko (as opposed to the Spring Drive), the Hi-Beat 36,000 GMT was introduced in 2014 and the subject of several subsequent limited editions. Seiko just unveiled one more, this time inspired by the plumage of a peacock’s tail. The dial is a dark green with a stamped guilloche that’s a concentric motif radiating outwards. 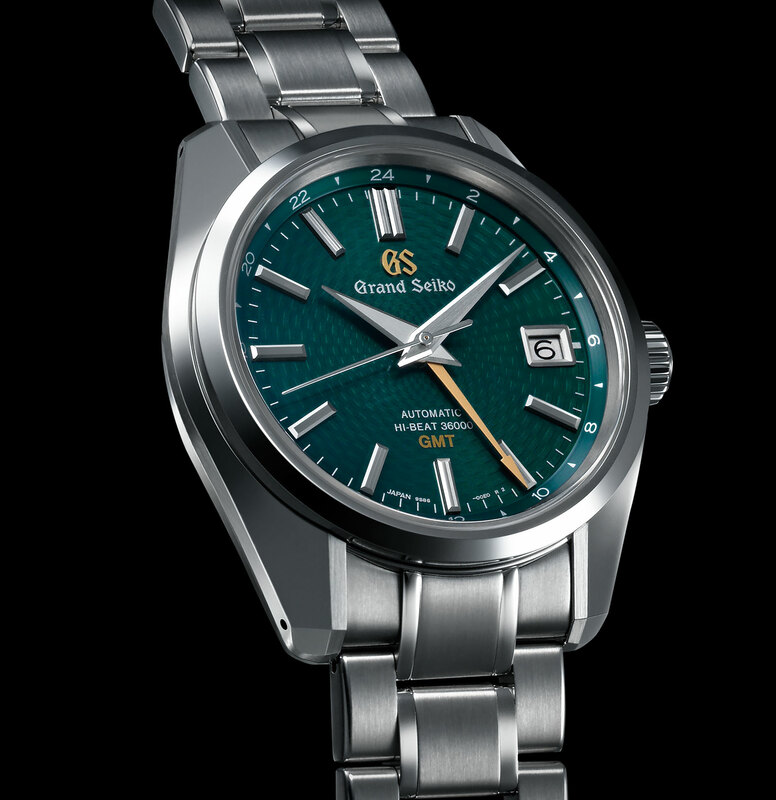 Like all of the newer Grand Seiko watches, it is only marked “Grand Seiko” on the dial, standard for the product since Grand Seiko became a separate company at Baselworld 2017. The case is steel, 40mm in diameter and 44GS style, with the signature broad, polished lugs that slope upwards towards the bezel. It’s powered by the cal. 9S86, an automatic with a 55-hour power reserve that runs at 36,000 beats per hour. The second time zone hand is adjustable in one-hour steps, forwards and backwards, via the crown. And it is synced with the date display, making setting easy when travelling. 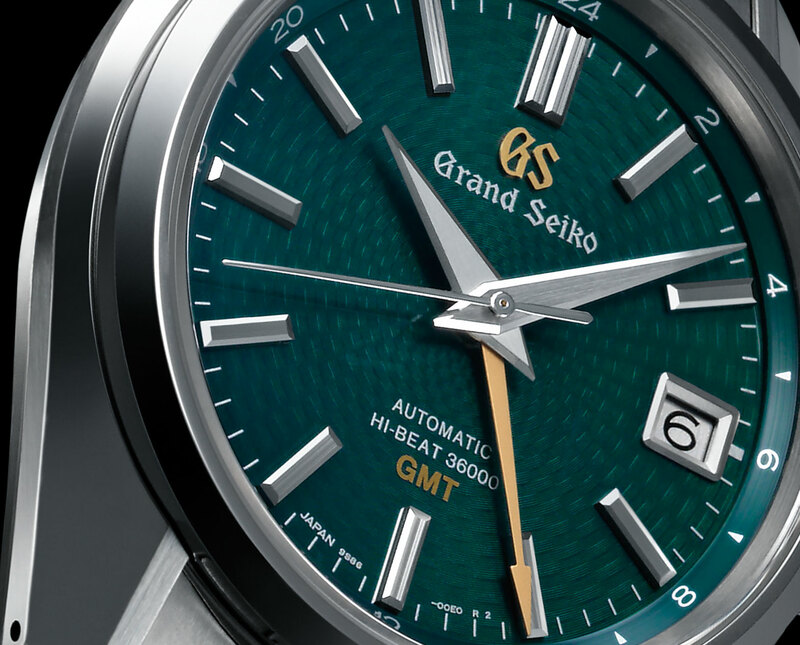 The Grand Seiko Hi-Beat GMT “Peacock” (ref. SBGJ227) is priced at US$6500. It will be available from Grand Seiko retailers and boutiques worldwide. Seiko facelifts the classic Grand Seiko GMT with two new Hi-Beat models, plus a limited edition with a deep red dial and psychedelic rotor.